There’s an old proverb of questionable veracity that says that the Chinese word for “crisis” is the same as “opportunity.” President Trump must have taken that to heart, because he is especially adept at creating such opportunities for himself, the latest of which results from the obviously coerced resignation of Attorney General Jeff Sessions, who made the professionally damaging decision to occasionally oppose his boss’s whimsey, or at least not support it with the enthusiasm customarily expected of a lackey. Nevertheless, what’s done is done, and now the task remains to find a successor, and the sooner the better, since the role is presently being filled by an “acting attorney general.” This maybe, kind of, probably is not exactly constitutional, since the acting AG has not been confirmed by the Senate, and was appointed to this position above the Deputy Attorney General and Solicitor General, both of whom have been confirmed to their respective jobs. This needs to be corrected rather quickly, in order to avoid the continued appearance of illegitimacy, especially as Robert Mueller winds down his interminable investigation (hopefully), and questions about interference from the Justice Department will predominate the myriad hearings congressional Democrats have promised to hold with their new majority. Trump should resist his baser impulses to appoint a loyalist, especially one so desperate for work that his independence would be called into question. Any indicia that the forthcoming nominee would in any way interfere with Mueller could create a constitutional crisis. Trump needs someone outside his circle, who is independent, and has a proven history of dedication to law and order. And, let’s be honest, it wouldn’t hurt to find a candidate other than a white male. 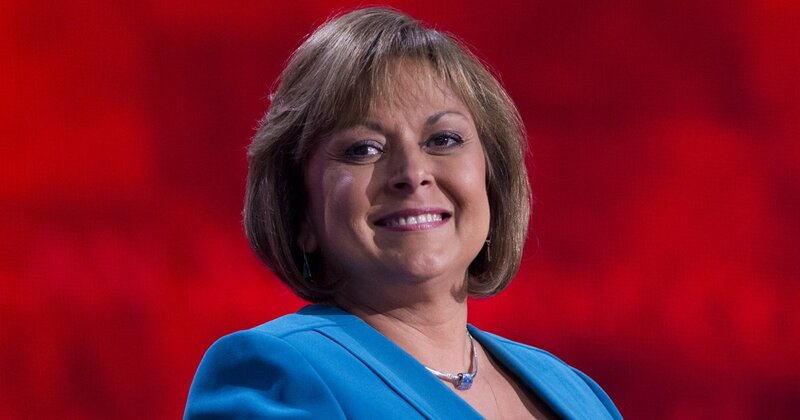 Outgoing New Mexico Governor Susana Martinez is the perfect choice. She is exactly what this country, this President, and this Republican Party need right now. Martinez has been term-limited out of her governorship and is scheduled to leave office in January, and her successor-elect has already been chosen. So she is, for all intents and purposes, available on short notice. And not a moment too soon. Many speculated that she had been on the short list for the Republican vice presidential nomination in 2012, and again in 2016, and it is not hard to see why. Prior to her governorship, Martinez was a major crimes prosecutor who developed a reputation as a no-nonsense, law and order type, focusing largely on child abuse and public corruption. During her time as governor, she was the subject of no major controversies, and was known to be a strong supporter of conservative principles in general, and law enforcement in particular, which we know is a favorite emphasis of President Trump. 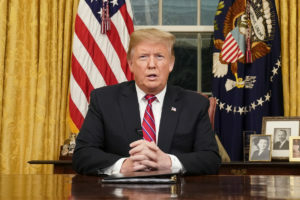 Further, considering that border security and immigration will continue to be central issues for the Trump Administration, it would help to have as not only the chief law enforcement officer, but the chief messenger as well, an American Hispanic from a border state whose parents had come from Mexico, and who therefore understands the need to balance empathy for immigrants, with an immigration policy that works for the good of the American people. Perhaps just as importantly, this would be a historic appointment for Trump, and in a good way, for a change. She was the first Latina governor in United States history, and would be our first Latina attorney general. That’s exactly the sort of legacy President Trump needs to begin building. While Republicans tend to loathe identity politics, much of the electorate does not, and it does not bode well for the future of this party that only 20% of the Hispanic electorate approves of President Trump, which is roughly half the percentage that voted for George W. Bush. 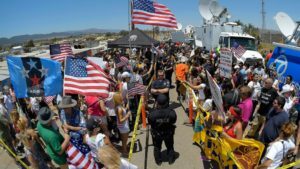 If Hispanics abandon the Republican Party the way that African-Americans have, we won’t have much of a party for very long. Florida, Nevada, and North Carolina, are all swing states with growing Hispanic populations, and at the current rate of demographic shifting in Texas, that state will soon join that list. 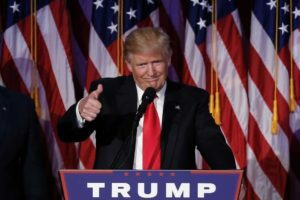 Additionally, Trump’s approval rating among women is only 36%, and that played a key factor in this past week’s wave election for Democrats, as 59% of women voted for Democratic congressional candidates. While appointing Martinez will not single-handedly reverse these trends overnight, one has to start somewhere, and this would be a yuge! first step in the right direction. People are not going to vote for a party from which they are excluded. To be sure, whoever the President nominates is going to face resistance in the Senate, because resistance is the Democrats’ new hashtag motto and modus operandi. If there was nothing to resist they would create it, because resisting is easier than governing, but still, it’s best not to give them any ammunition. Martinez is not part of the Trump ecosphere and she is not a Washington insider, so it would be harder to question her independence, or integrity, and it would be unwise to do so, for obvious reasons. Democrats hoping for another Kavanaugh circus would find themselves frustrated and looking quite foolish. And, incidentally, it wouldn’t kill us to groom another potential Supreme Court justice to add to our short list, especially one who, like her, is unabashedly pro-life and who, in her former employment as a guard for her father’s security company, carried a .357 magnum on her patrols. Susana Martinez is not just our best choice, she should be the most obvious choice, for the most obvious reasons. She may not be what Trump is looking for, but she is precisely what is needed.